Pillow fights are just the tip of the ridiculous iceberg. 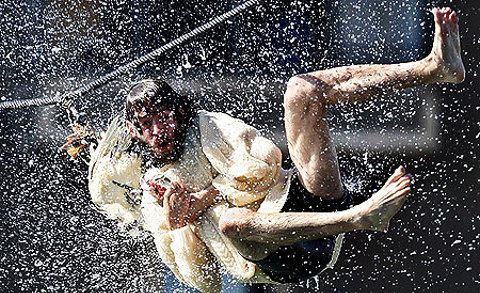 From melting ice to fire dancing and bridge tug-of-war, here are the silliest days of the year. The Basque region of Spain is, well, different. For over 350 years, the locals have celebrated Antzar Eguna, also known as Goose Day, where young Spanish men attempt to decapitate a goose that is left hanging from a rope – don’t worry, the goose is already dead. It all goes down in the middle of the town’s harbour so thing usually get a bit wet. If the person falls into the harbor without the decapitated head, it’s considered a fail and another attempt is made. This ecclesiastical festival (celebrated during the Feast of St. Antolin) was celebrated all over Spain before it was decided that it’s simply too weird. Other than a vertically-challenged tower, Pisa is also home to an interestingly weird game called Il Gioco del Ponte (Game of the Bridge). 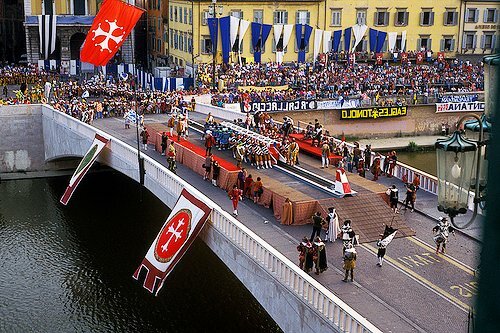 Six teams of 20 men, each of which represent six of the historical sections of the city, “battle” each other by playing a large game of tug of war – basically they push a giant wooden cart from one side of the Ponte di Mezzo bridge to the other, while the opposing team tries the same. 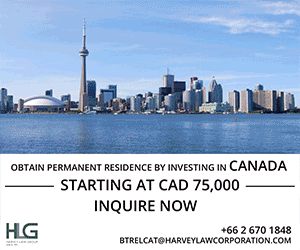 The game harkens back to the days when men fought bloody battles over possession of the bridge. 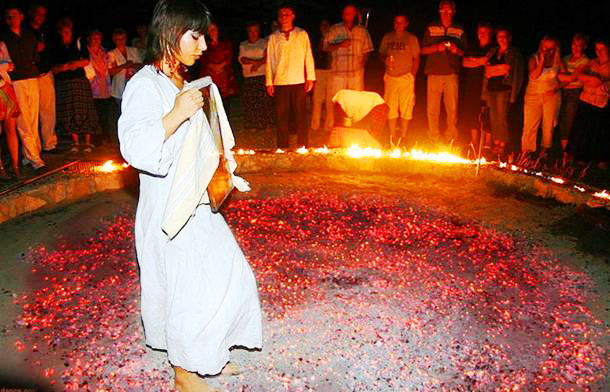 For eight days beginning May 21, revellers in Northern Greece and Southern Bulgaria celebrate the feat of Saint Constantine and Saint Helena (known as Anastenaria) by walking, dancing and stomping on hot coals. Many revellers claim not to feel the flames. At some point during the festival, a sacred bull is sacrificed and every village family is given meat and sandals from the hide. The ritual dates back to the Middle Ages when residents of the local area were unharmed after rescuing several icons from a church fire.